2019 is full of promise with projects and ideas coming to fruition. 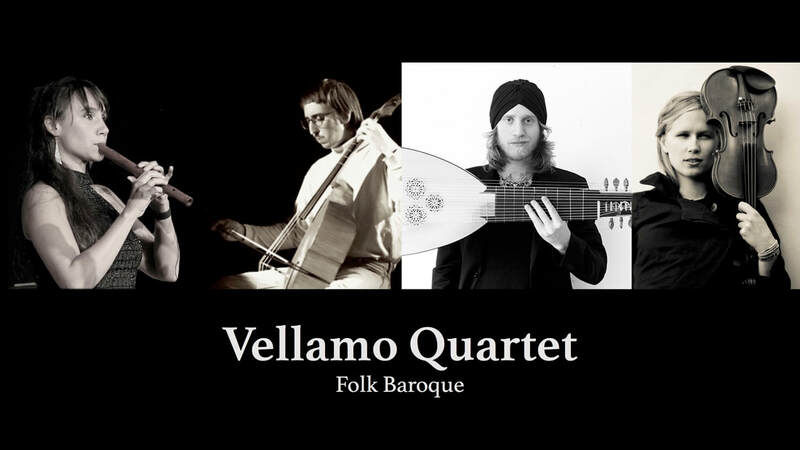 The first is the creation of Vellamo Quartet, fusing baroque and folk music with three fantastic Swedish musicians with a huge list of credentials to their names, but more importantly enthusiasm and warmth for this project I've been nursing for years. First rehearsals in February! Bonnendis is going on a mini international tour to launch our first album (17-20 April 2019). Official launch date: 17 April at Balabam, London. Things seem to be cooking on the Världens Band front, but no official details to share as of now. At University of Lincoln, a new semester is about to start with a great bunch of enthusiastic students. The big project will be putting on the second edition of Nebula Festival as part of the 3rd years' module I lead. 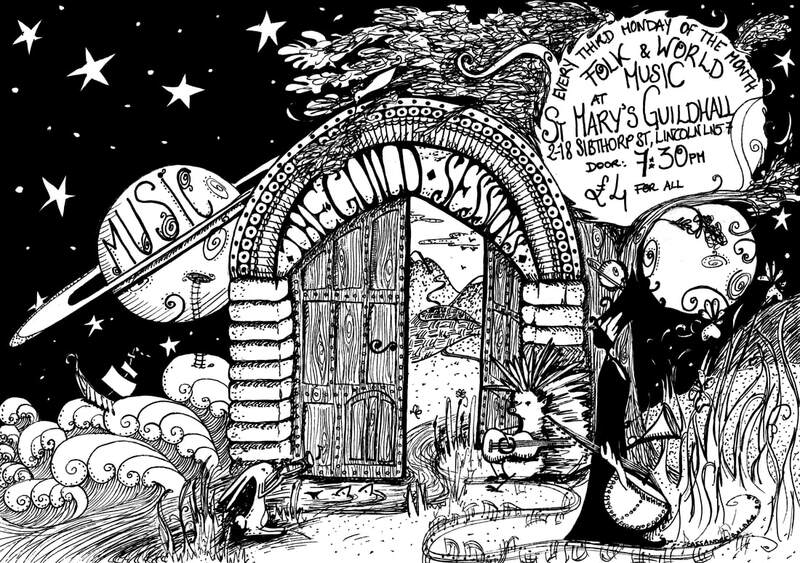 The Guild Sessions are still going strong with a fantastic Spring season, starting tonight. 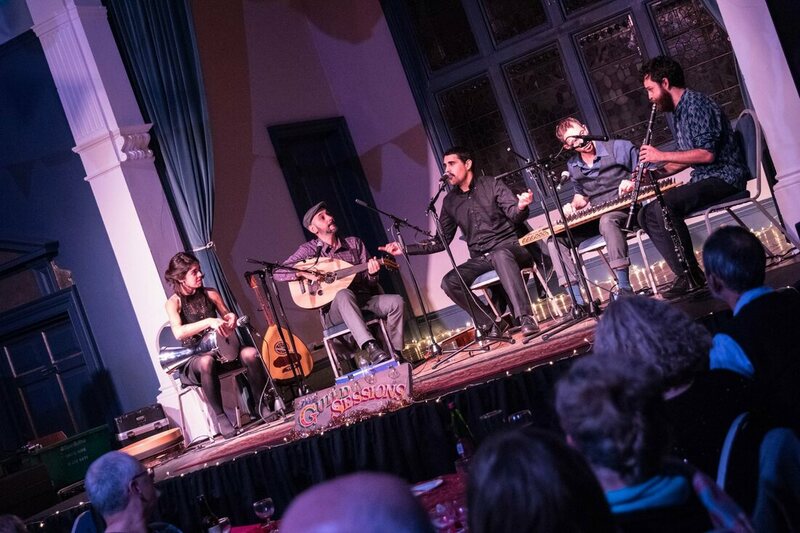 We put on a fantastic annual banquet with the Near East Collective just before Christmas and sold out. We're already planning next year's big event. Finally the Global Sound Sessions are going strong with music from Spain (Leo Power and Pablo Dominguez), Nepal (Namlo) and Italy (Amaraterra). It's going to be a fun few months! 10 March was International Bagpipe Day. The Fourth International Bagpipe Conference was a huge success with participants from over a dozen countries gathered to play, share and present their knowledge. 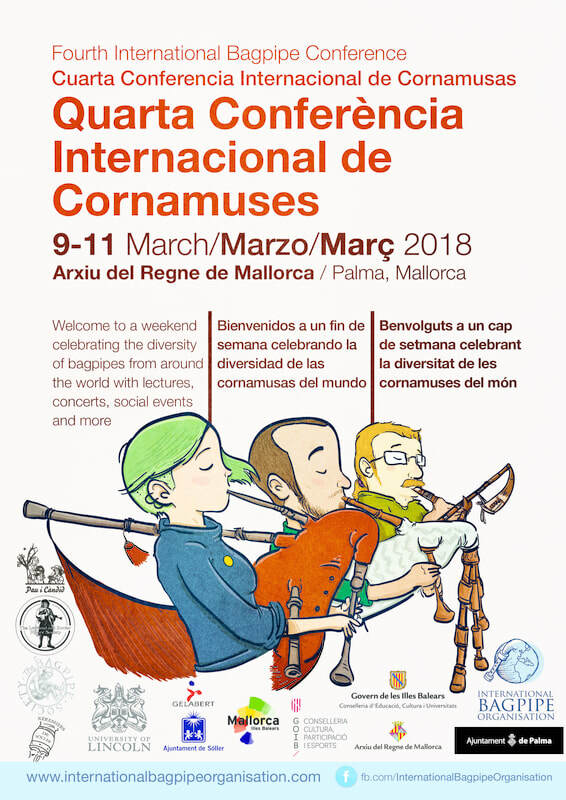 Hosted in Mallorca at the Arxiu del Regne de Mallorca, along with an opening concert at the Teatre Xesc Forteza and an outing in the town of Sóller, the conference really achieved its goal of creating a platform for people interested in bagpipes, encouraging links with people from all around the world. The next conference will be taking place in 2020 on the East Coast of the United States. 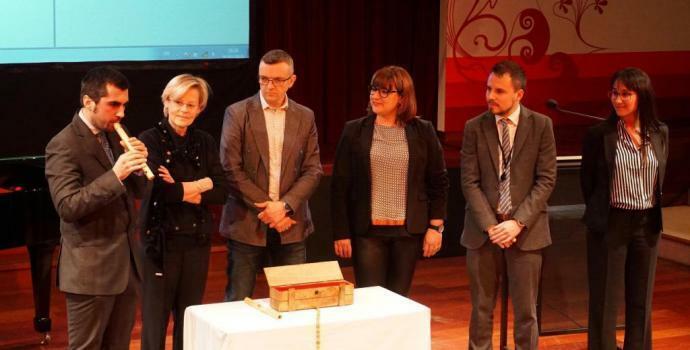 Following up from the conference, I was invited by the Balearic Islands Government and the Centre Balears Europa in Brussels to introduce two new instruments to the Musical Instruments Museum in Brussels as well as do a short presentation of music from the Balearic Islands to an international audience, punctuated by music from Mallorcan, Menorcana and Ibizan musicians. What a fantastic day it was! 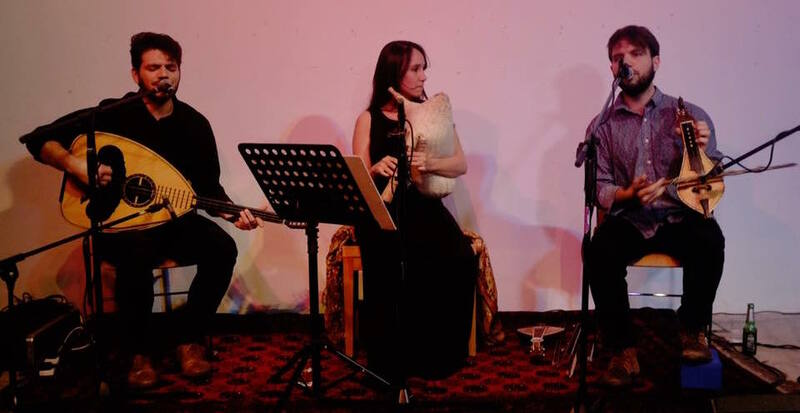 Music is still happening, though, with a concert with Amaraterra at Balabam on Saturday 24 March and a feature during a Baroque Festival in April in Hampstead Heath, playing a Vivaldi Concerto Grosso for the first time in years. Exciting! 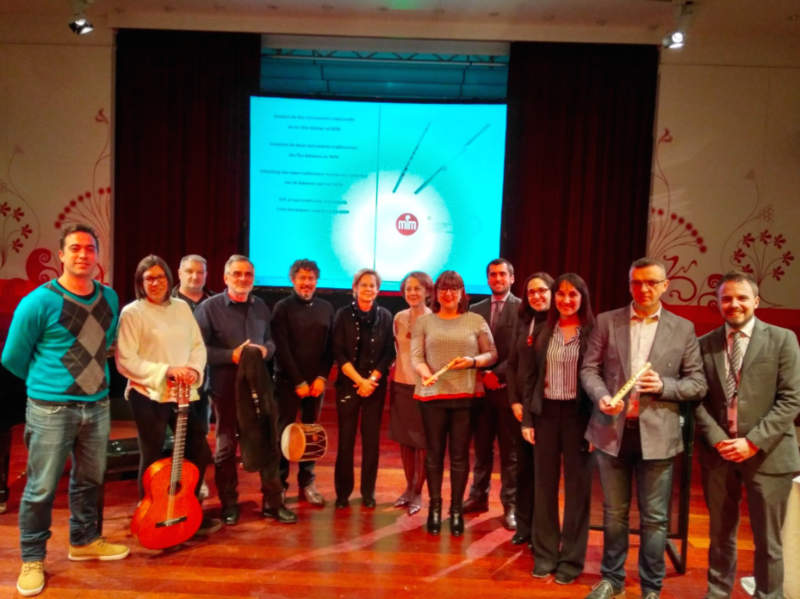 The Balearic delegation at the Musical Instruments Museum in Brussels with musicians, curators, politicians, the Spanish Ambassador (centre right), the Director of the Museum (centre left) and an ethnomusicologist. 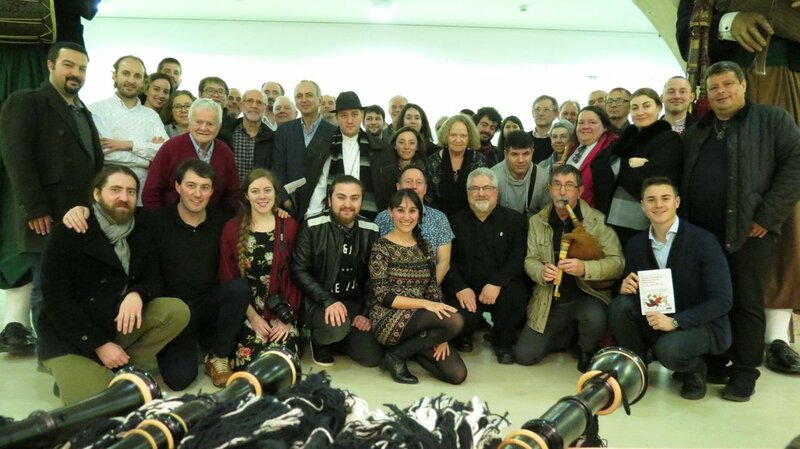 Official picture of the Fourth International Bagpipe Conference delegates. The IBO and I need your help! 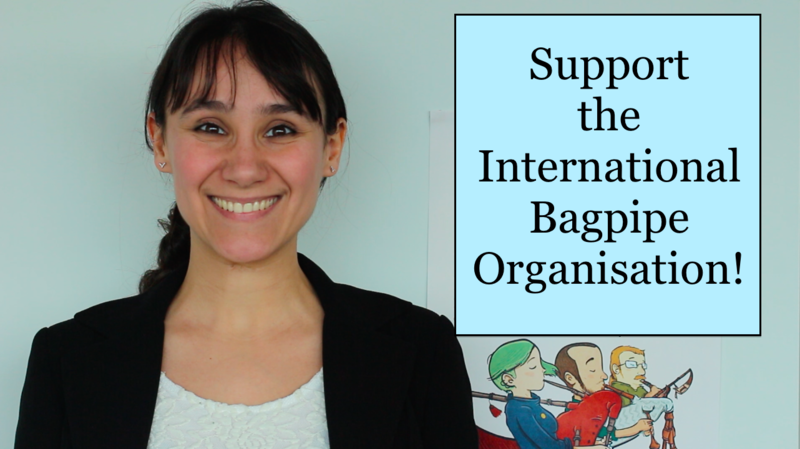 As many of you know, I created and have been running the International Bagpipe Organisation since 2012. This year's event will happen in Mallorca and thanks to the hard work of an incredible team of volunteers, it's promising to be one of a kind. 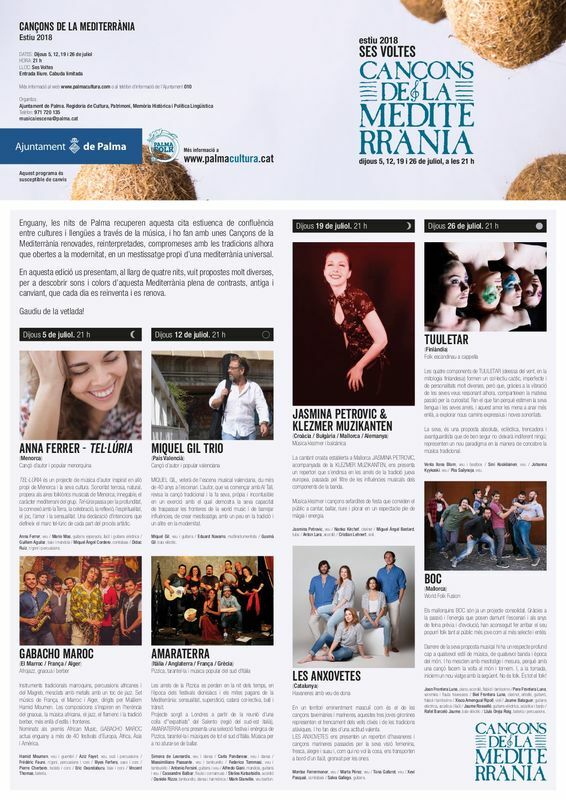 If you are planning on attending the three-day event (9-11 March) in Palma, Mallorca, do not delay in getting your ticket! 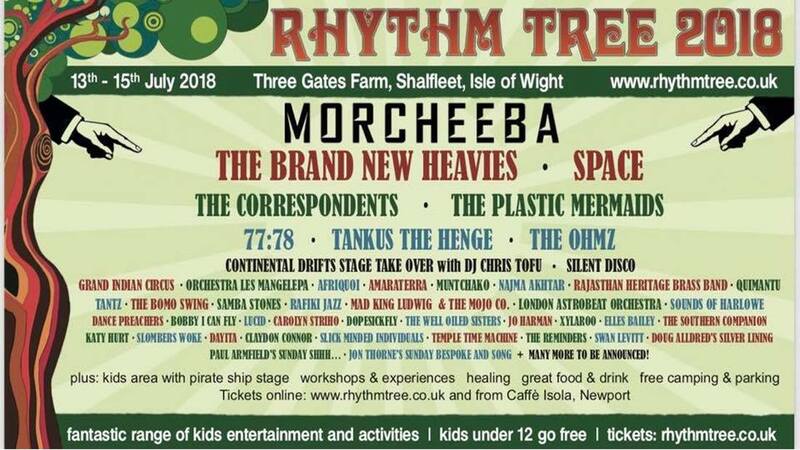 BUT despite months of planning, we are still a few thousand pounds short so we've decided to launch a crowd funding campaign to help fund this unique event. Your help will be an immense boost and earn our (and especially my) eternal gratitude! YES, I'LL SUPPORT THE PIPING CAUSE! 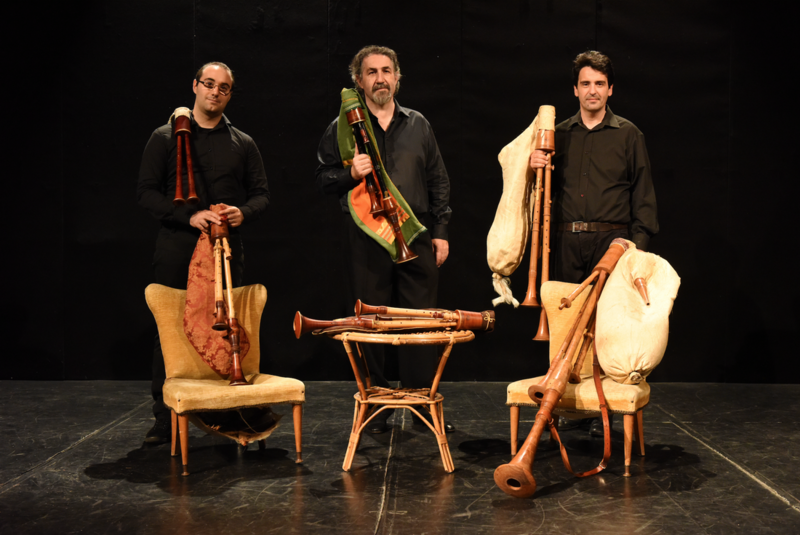 The Zampogneria FiumerRapido will be playing at the opening concert! Too much has happened over the last few months to list here. However, there have been a few highlights both musically and academically. 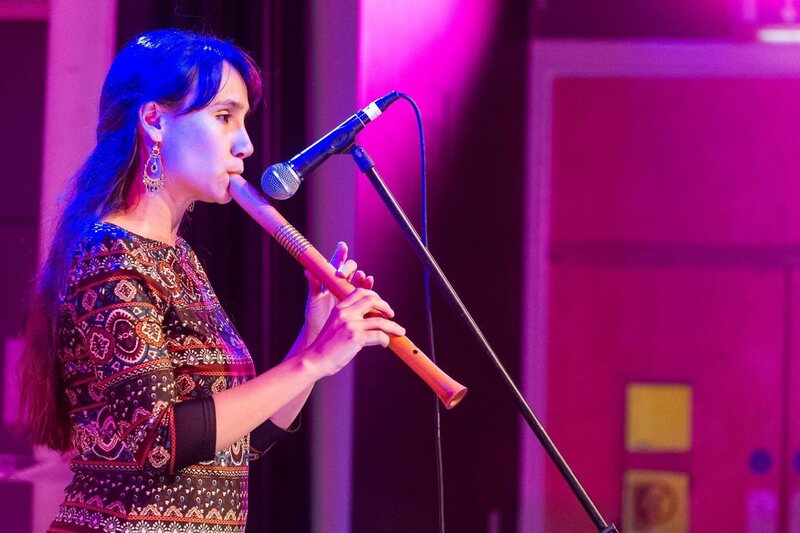 Playing at Musicport with both Amaraterra and Bonnendis was fantastic this autumn as well as meeting up with Världens Band in Sweden to rehearse and record our second album. 2018 will be full of musical promise with 3 album releases, a two month European tour and many concerts all over the UK. 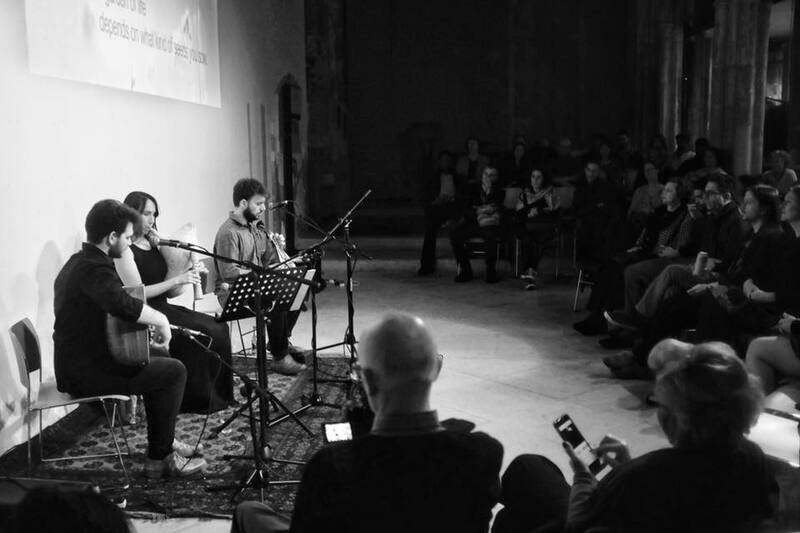 I've also been contributing to the Lincolnite live music scene by creating two new concert series: the Global Sound Sessions at the university, partnered with Making Tracks, as well as the more low key but ever so warm folk and world Guild Sessions in one of the city's oldest buildings, St Mary's Guildhall. So far we have invited 10 different bands and 5 poets to the Guild Sessions, with many more quality acts to come over the year. 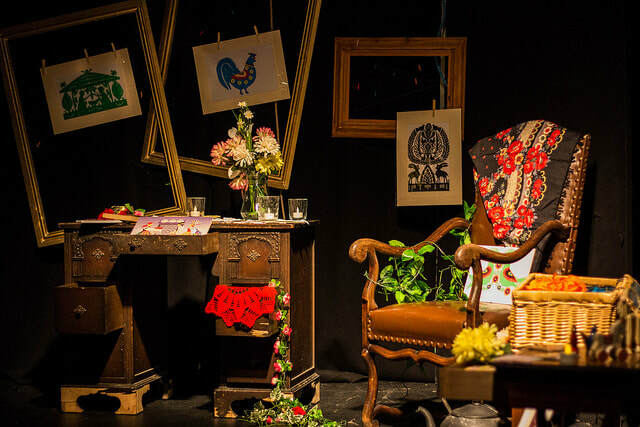 I also curated Hidden Gems, an sold out evening celebrating Eastern European arts and culture at the Lincoln Performing Arts Centre, with the support of local communities. 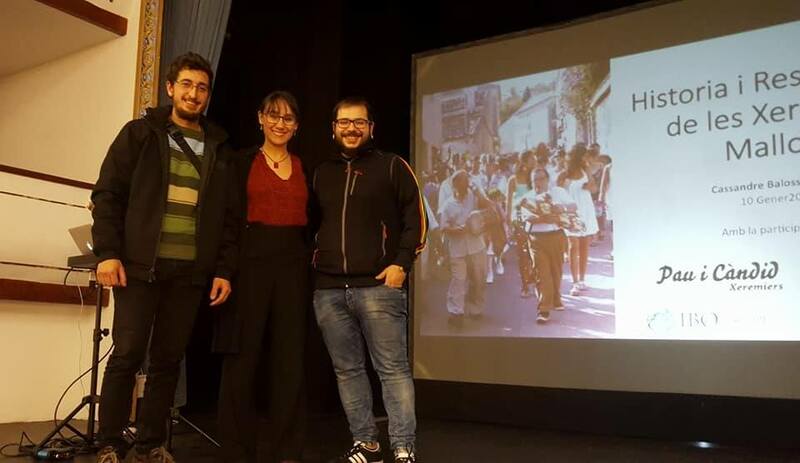 At the university, we introduced the students to the world of academia by creating a new Undergraduate Music Conference where all three year students were able to showcase the work they had done in the first semester. We are now keeping our heads down, preparing for the next term of lessons. 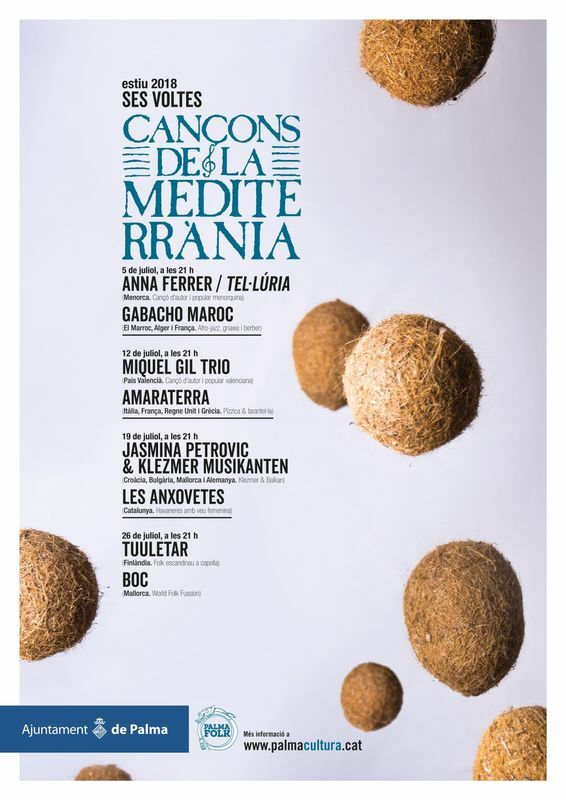 Finally, I have also been invited to talk about music from the Balearic Islands at the European Union in celebration of the day of the Balearic Islands (1 March). This, just after talking about my research in Palma, invited by the town hall. The xeremies are becoming popular! 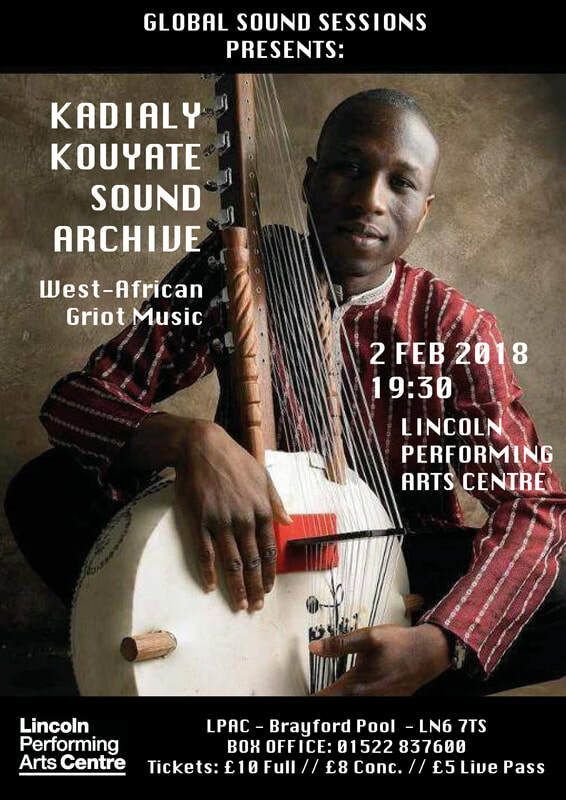 The big events to remember in the followings weeks are the next Global Sound Sessions with Kadialy Kouyate's Sound System on 2nd February, Amaraterra at our favourite Jamboree on 3 February, and the next Guild Sessions on 19 Febuary! See you here or there! It's the end of a long a beautiful summer but exciting things are planned which means that the autumn is to look forward to! 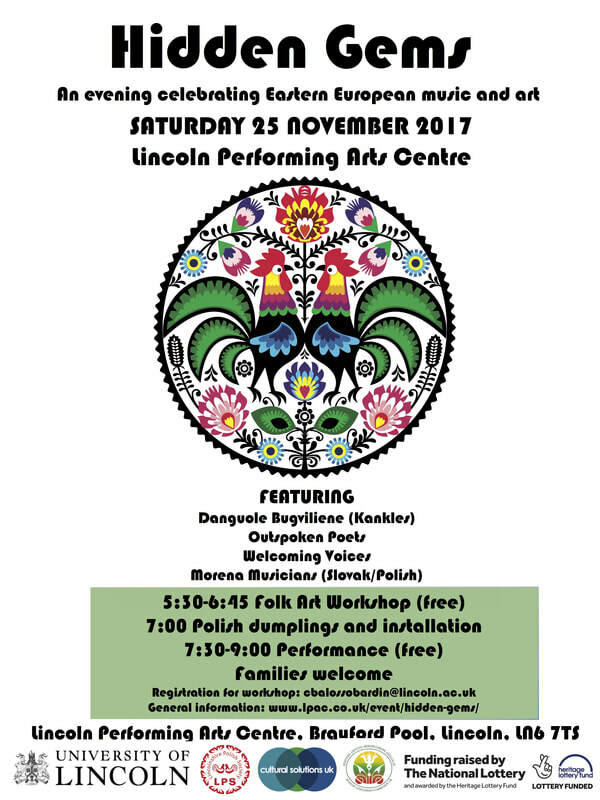 Starting with busking at Lincoln's Steampunk festival and a lunchtime concert at the Hampstead Heath High Street Baptist Church with Nicola Barbagli on the accordion, this sets the mood for the upcoming concerts and events. 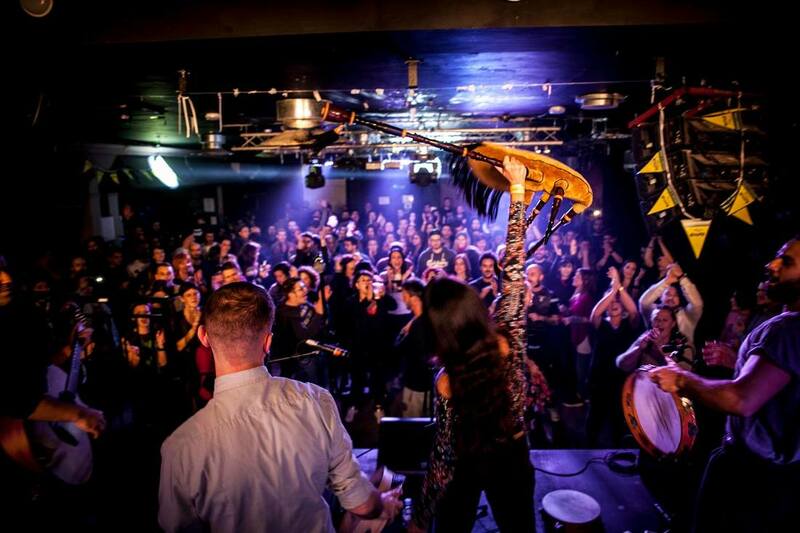 2 September sees Amaraterra returning to our favourite Jamboree venue in Limehouse. We will also be recording our full album this month and it should be out by the end of the year. Bonnendis should be recording its last three tunes for its debut album as well. Exciting times! 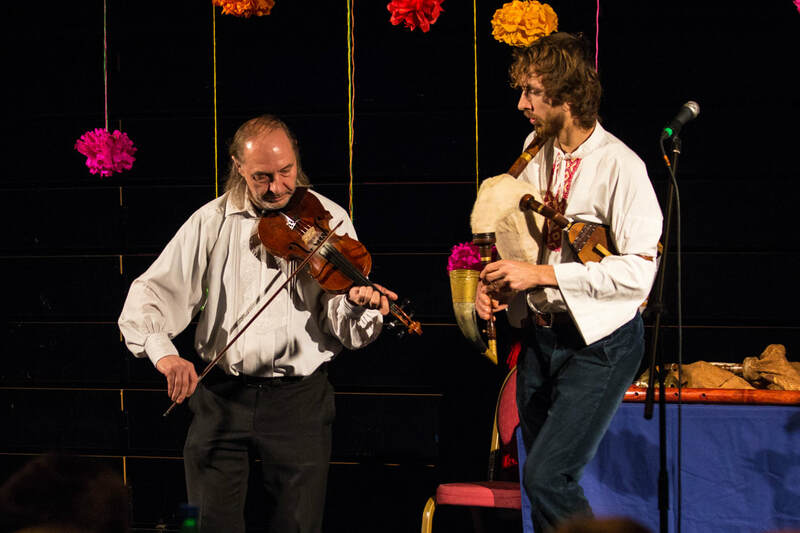 Promotion-wise, we're bringing folk and world music to St Mary's Guildhall in Lincoln with the opening night on 18 September. We look forward to see all the locals there! 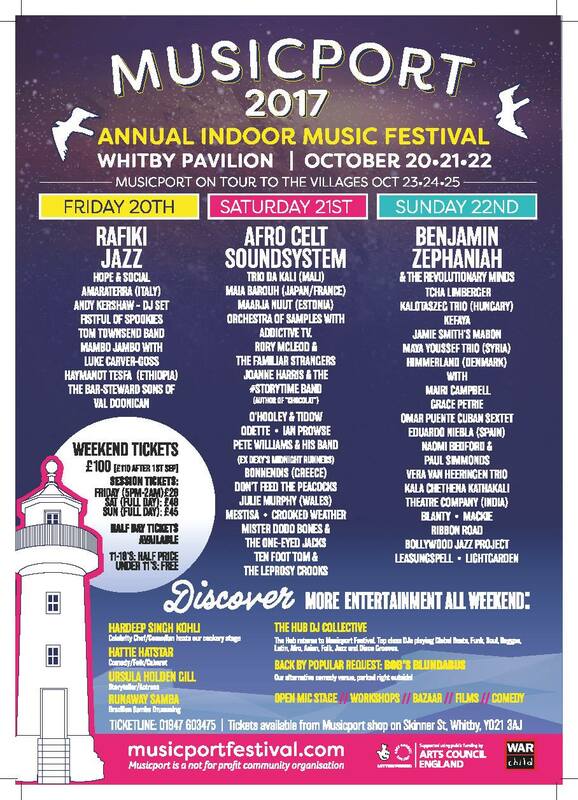 And of course, both Amaraterra and Bonnendis are prepping for the wonderful Musicport festival coming up in October. If you haven't been to Whitby, now is your chance. Finally, the call for papers for the next International Bagpipe Conference has been published. Don't forget to have a look and to join us in Mallorca on 9-11 March 2018! June has been a month for both research and music. 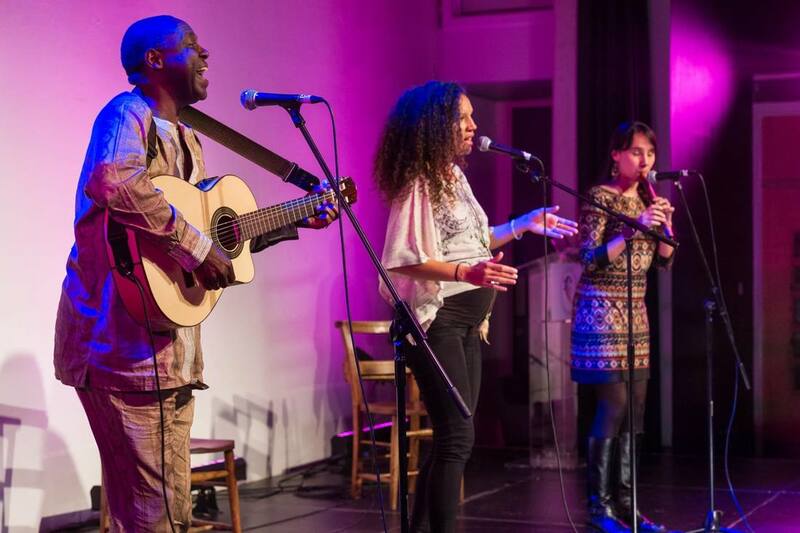 Participating in Celebrate Life's event with Prem Rewat at the Tabernacle was a great experience and it was fantastic to play alongside artists such as Namvula and Jean Paul Samputu. 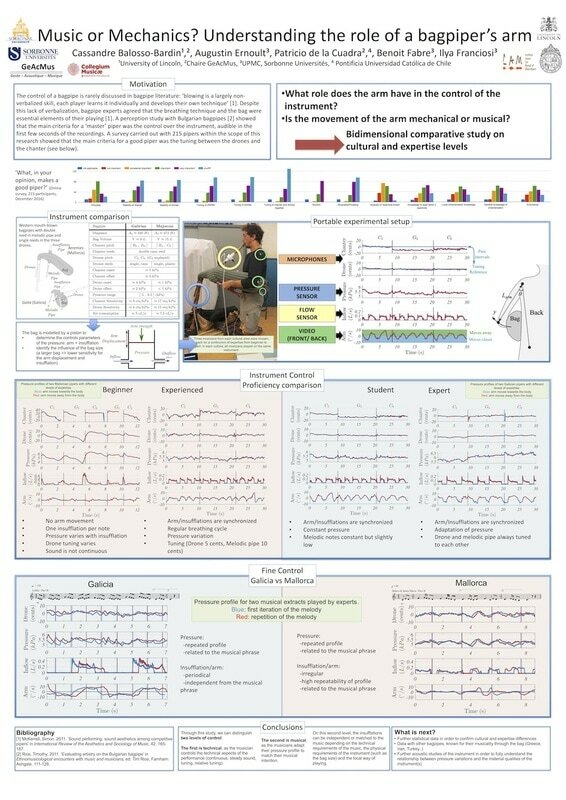 Research took me first to Edinburgh and then to Montreal to present two of the research projects I participated in during my postdoc with the Lutherie-Acoustique-Musique team (Sorbonnes Universités). 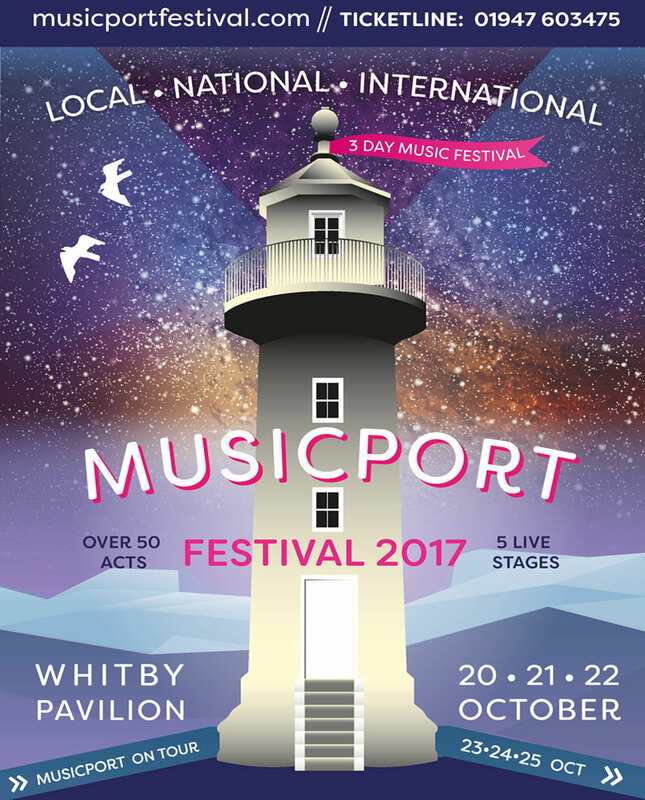 Looking ahead, the best recent news is that both Amaraterra and Bonnendis will be playing at Musicport festival on 20 and 21 October in Whitby. What a treat! We are hoping to have Bonnendis' debut album ready just in time for the festival. 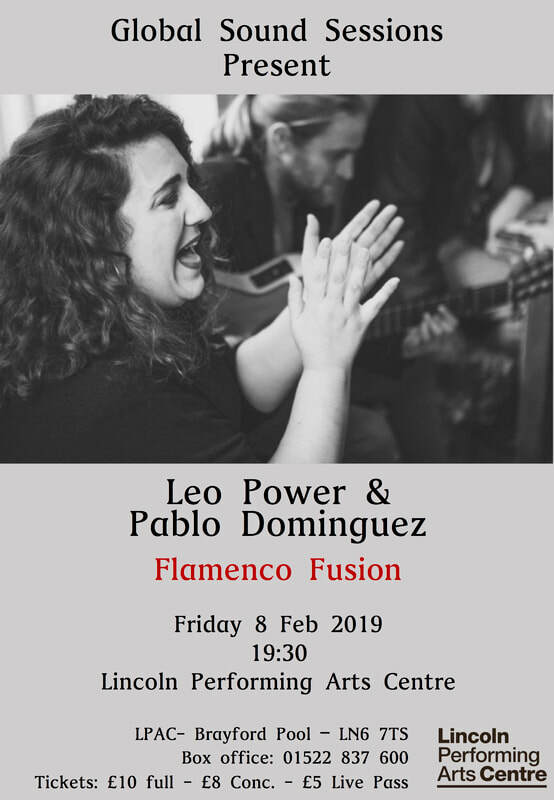 Bonnendis at Saint Ethelburga's, Amaraterra at Jamboree and a free Improvisation workshop at the university of Lincoln with Valia Calda, a busy month amongst teaching about Bollywood Music, the music of the Arab Uprisings and Indigenous Australian Pop Music! 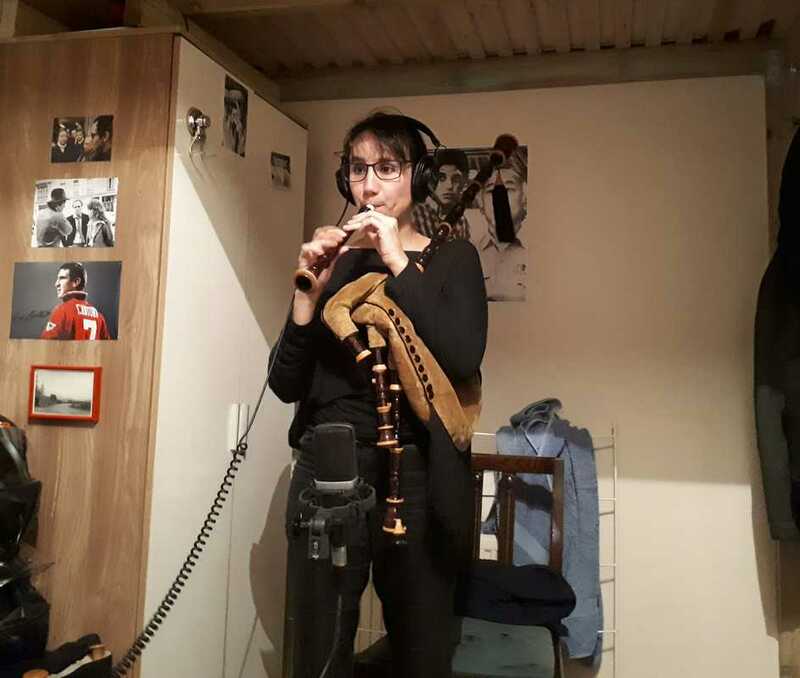 International Bagpipe Day was celebrated on 10 March once again all over the world with events in Greece, France, Spain, the USA and England among many other places. Personally, I celebrated by shooting a short video in the medieval town of Lincoln and then going to the first ever Newcastle Piping Festival organised by Andy May and the Northumbrian Piping Society with the support of other piping societies from the British Isles. 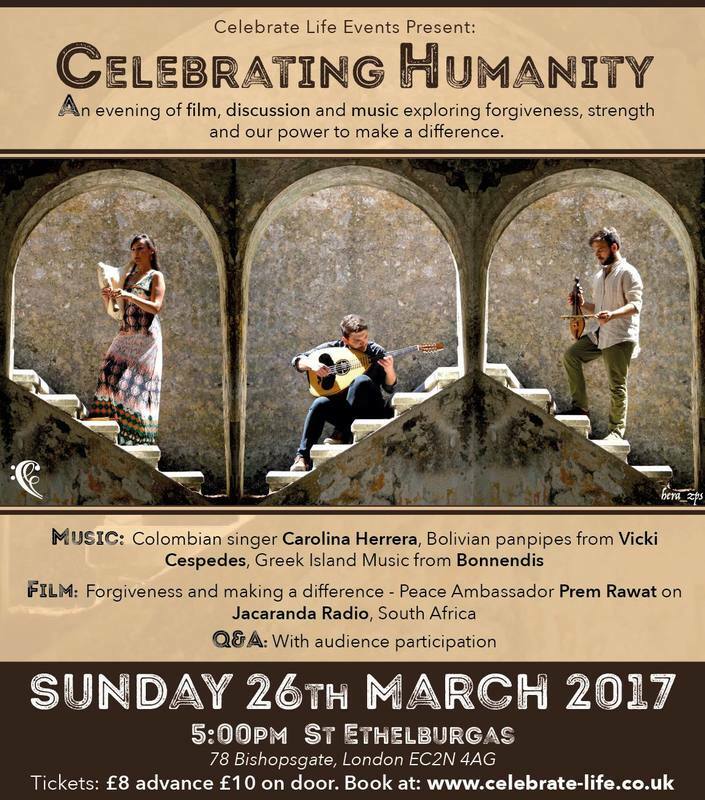 Bonnendis has been recording their first album and playing various concerts at Bath Spa University (15 March) and Saint Ethelburga's in London for a Celebrate Life Event (26 March). Amaraterra has also kept busy with sold out Jamboree nights. 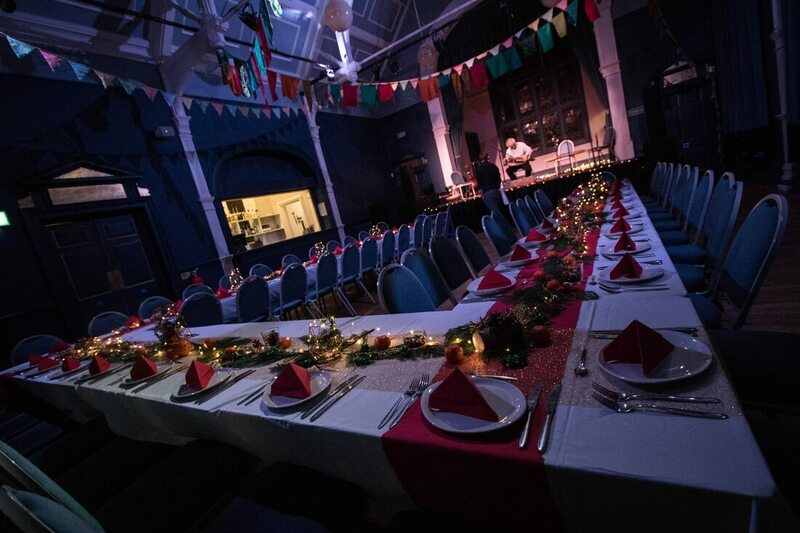 The next event will be on 1 April with tickets already selling fast! 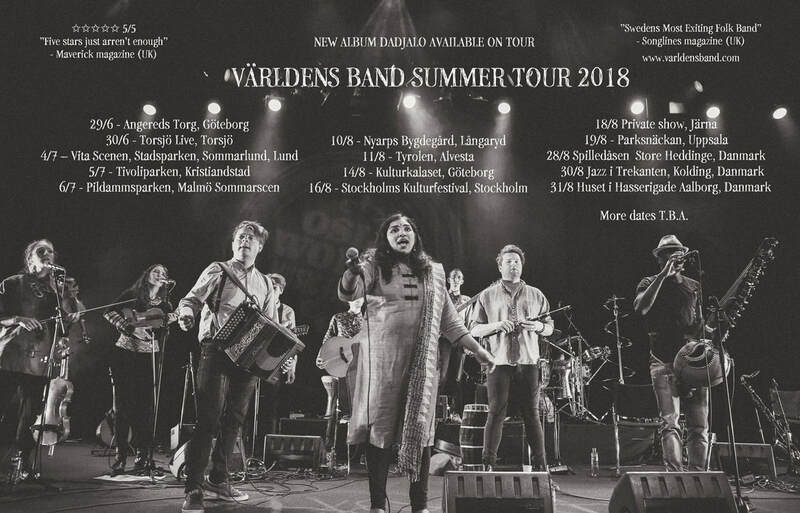 Världens Band was nominated once within the top three Best World Music Band for the Swedish World and Folk Music Gala which was won by the fantastic Tarraband. Lecturing in non-Western Pop Music at University of Lincoln has also been a lot of fun the last few weeks and I even had the pleasure of Charu Hariharan from Världens Band skyping in during the Bollywood class to answer the students' questions. 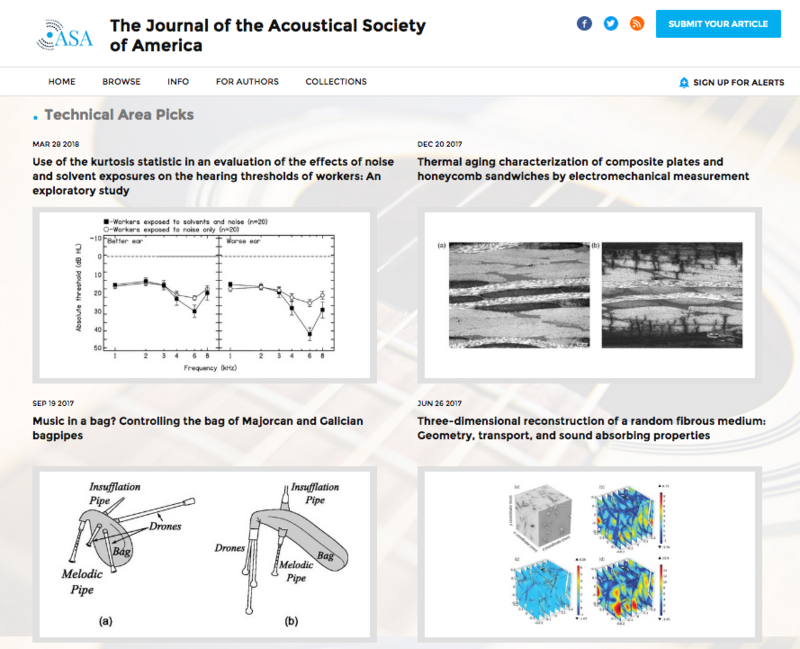 Research-wise, a bilingual article written for the Musique & Technique journal was published online on 21 March. 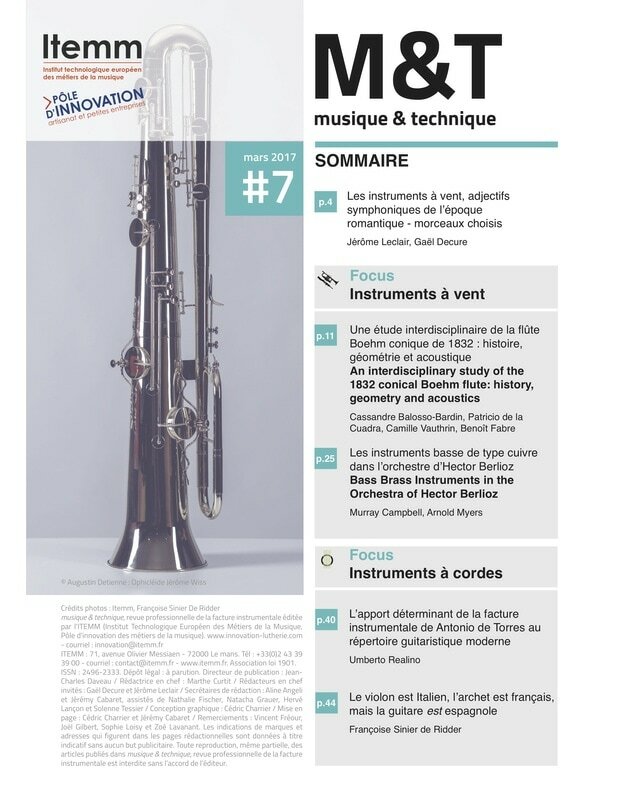 Focusing on elements of research developed during my postdoc within the Sorbonne-Universités GeAcMus project in Paris, it is entitled: 'An interdisciplinary study of the 1832 conical Boehm flute: history, geometry and acoustics'.